In February, Chinese company Mobike, with the agreement of the council, expanded its dockless bike hire scheme to cover the whole of Ealing. There are now 2000 bikes across the borough. But what's it like to use them? Once you’ve downloaded the app, renting a bicycle is quick. The app shows you available bikes on a map. The first time you rent one it takes about three minutes to enter the payment card details and scan the QR code on the bike. A few seconds later you will hear a click and the lock will open. Once set up, future rentals are a matter of seconds. In Ealing you pay a discounted deposit of £1, then 50p per half hour. Regular users can now buy a Mobike Pass which offers unlimited ‘free’rides. The 30 day pass costs £9.90. The bicycles are basic – the lack of gears, heavy frame, and airless tyres means pedalling is harder than on a normal bicycle – but they are fine for short distances. This is what they are designed for – the first and final stages of a journey such as between home and a railway station. The height of the seat is adjustable, but taller riders will find the maximum height too low for comfort. A new model is due to fix this. Like other dockless hire bikes such as Ofo, Mobikes are not locked to stands. Instead when you park the bike, you simply lock the rear wheel, and three beeps will tell you that you have returned the bike. Users are urged to leave the bicycles where they don’t cause an obstruction. The bike's position is monitored by a solar-powered GPS unit, and users will be penalised if they leave them in an unsuitable place. You can download the App from the Android or Apple Store. 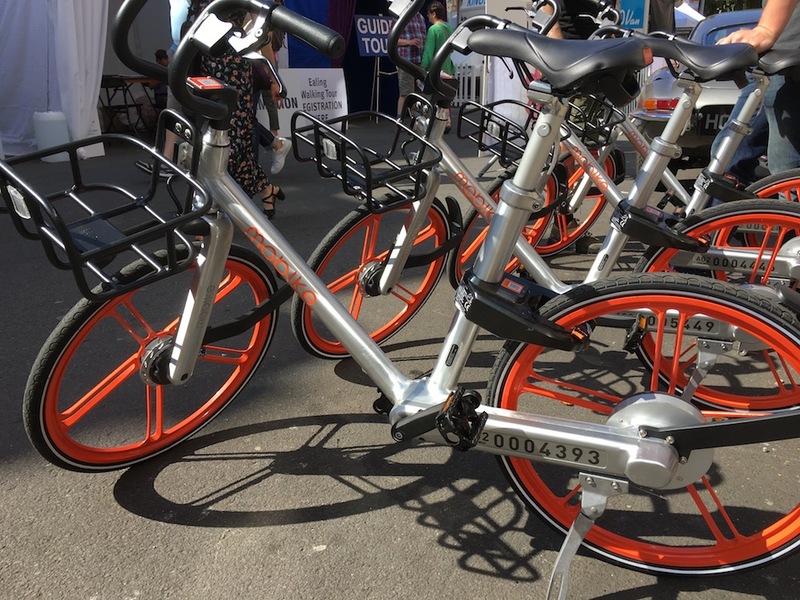 If you have problems with a Mobike, or wish to report one in an unsuitable location, you can call the contact centre: 0330 131 9789 from 9am to 6pm Monday to Friday, or email support.uk@mobike.com. You will need the bike number, painted on the side of the bicycle. · Do consider the needs of pedestrians, especially those who are blind or partially sighted or those using pushchairs or wheelchairs, when leaving bikes on footways.